hd00:39Blue-and-yellow Macaw (Ara ararauna) sitting on a branch. 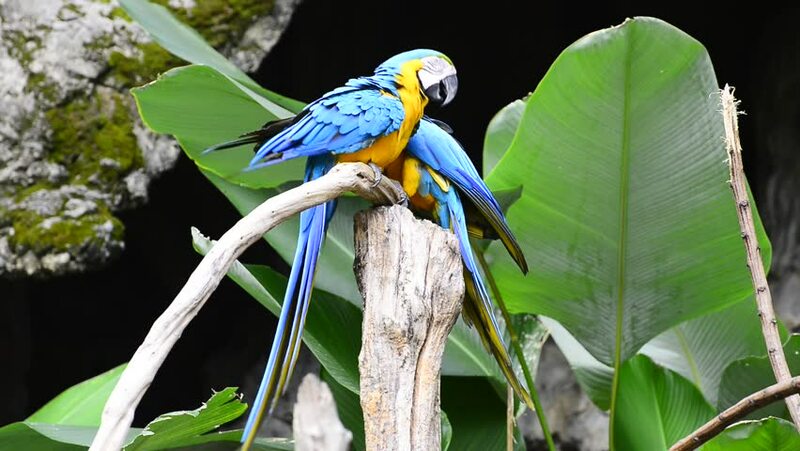 hd00:26Blue-and-yellow Macaw (Ara ararauna) sitting on a branch. hd00:20Cute little tropical birds on tree branch in Maui party hard in the morning sun. hd00:13ENDANGERED male Parson's Chameleon (Calumma parsonii) in a tree in Ranomafana, Madagascar. The largest chameleon species in the world. IUCN lists as Near Threatened. Big, beautiful, and colorful.